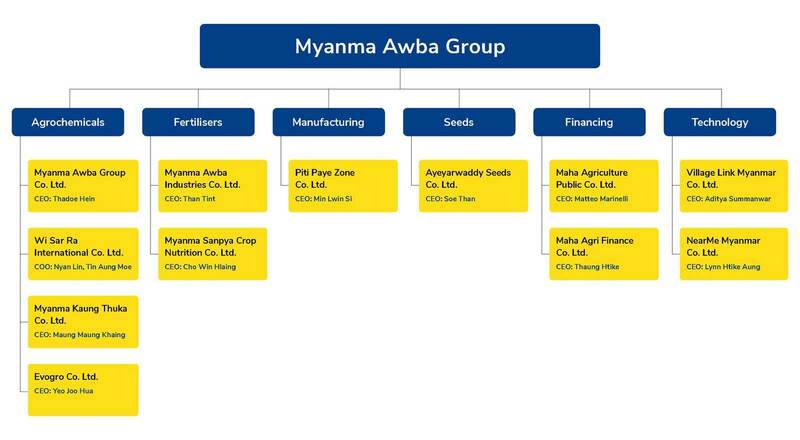 Established in 1995, Awba is Myanmar’s largest manufacturer and distributor of agricultural technology with a focus on crop protection, crop nutrition and high-quality seeds. Today, we employ more than 1,500 agronomists to serve 3.5 million farming families over agriculturally significant rural areas through providing holistic solutions across the agricultural value chain. Our agronomists work closely with farmers to understand their needs and to identify knowledge gaps. We then work with them to nurture healthy, productive crops. The Awba Agronomists draw upon years of trials, field experience and a profound local knowledge to develop customised solutions optimal for Myanmar’s conditions. We believe knowledge is power and search the world for the best innovations and talent for our Research and Development team. Our agriculture laboratory is one of the best in Myanmar.